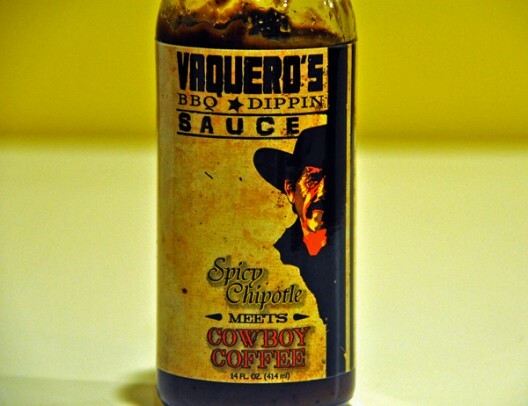 A hardened, mustached Hispanic man introduces California-based Vaquero’s BBQ Sauce, where “Spicy Chipotle Meets Cowboy Coffee”. He looks you right in the face, as if to say “Go Ahead, Make My Wings” with an accent. I’m not sure who the guy is exactly, but I’m curious to find out more. 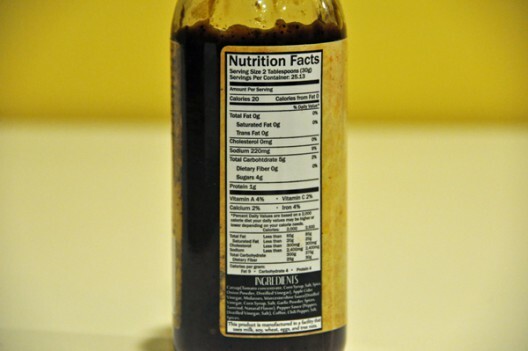 The sauce bottle doesn’t look like many others out there and demands your attention from the character to the background color/texture to the unique yet tasteful fonts. 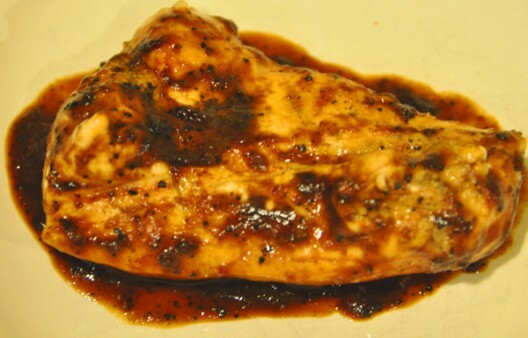 The strikingly dark black color of the sauce jumps out and I simply have to wonder – why so dark? 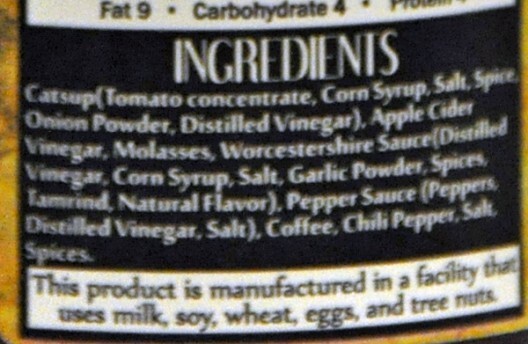 I understand coffee is used, and I’ve tried a couple other sauces with coffee but never have they had such a dark appearance. It’s not a bad thing, it makes me even more interested. The label and the sauce itself is such a bold move. When it’s easy to go with a KC style sauce and give it a funky front and a novelty name, the owner decided to go for it. So how does it taste with all of these flavors – the mix of the spicy chipotle (pronounced Chi-Pote-Lay :)) and the coffee and the brown sugar and molasses? Actually, it’s really good. It’s almost more of a Mexican mole sauce that a BBQ sauce in that respect with a rich darkness from molasses and brown sugar along with the unique flair of the chipotle and coffee. Together the flavors hit you with a sweet pepper flavor and then a black coffee flavor comes in a bit later. The spice is very subtle and only has a scant amount of heat. Had I only tasted the sauce, I would play up the darkness of the sauce and perhaps turn the character into something almost akin to the Dark Knight. I love the fact that the owner took a risk and went for it with this sauce. 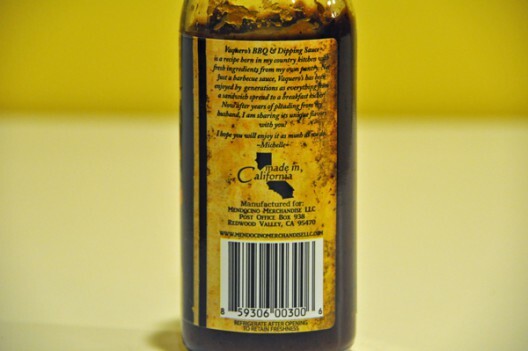 The appeal of the flavor itself could be hard to determine in advance as I’m not sure how many folks are looking for coffee in their BBQ sauce… so playing up the novelty angle or coffee lover angle would be a good approach. It matches the flavor expectations exactly and that is great, I’m just not sure how many people are looking for that combination. Worth trying! Brisket and maybe tri-tip might be the ticket. I liked your opening to the review.